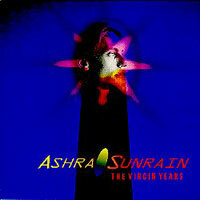 A good overview of Ashra's late 70s albums. My big gripe with this collection is that two of the albums were solo efforts (New Age of Earth and Blackouts) and the other two were group efforts, and stylistically they are quite different. The "Belle Alliance" and "Correlations" tracks are much louder, and in some ways anticipate the dance music/rock crossover of bands like PRODIGY and THE CHEMICAL BROTHERS. The sequencing of this collection makes for a rather uneven atmosphere overall, although all the material is worth listening to.